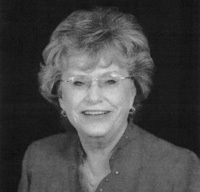 Dr. Barbara Brewer has been a professional member of NTL since 1975, conducting T-Groups throughout the world. She has Deaned the Senior Executives for NTL. Using the T-Group methodology, she has presented and run seminars at UCLA, Stanford University, Midwestern State University and many more in the US as well as presented in Singapore and Malaysia. Barbara has been involved with AI for more than 15 years. She was fortunate to complete the Foundation Course with Jane Watkins and as an apprentice with Tom Osborn. After this period of learning, she staffed AI offerings to several universities throughout the United States. She presented AI at the CEMA University in Bueno Aires. In addition, she has presented AI to many organizations, women’s professional groups, churches and the Internal Revenue Service.